Engineer refused to open the door (Train 123, 1:28 p.m., Thursday,1/27/2011 at SW 6th Ave. & Morrison), even though there was ample time to do so. 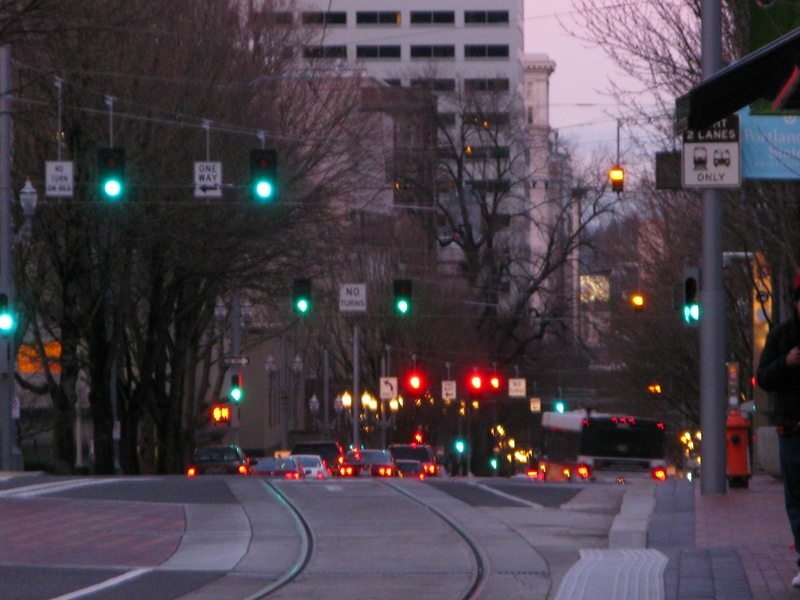 I crossed the street from Pioneer Square as the Expo Center train was stopped at a red light. When my light changed to green, I immediately crossed the street and quickly walked right in front of the stopped train, so the engineer had to see me. I hurriedly pressed the yellow and blue buttons for the doors to open on the first car. The traffic light was still red (for the train). They did not, so I attempted to open the doors with my fingers. 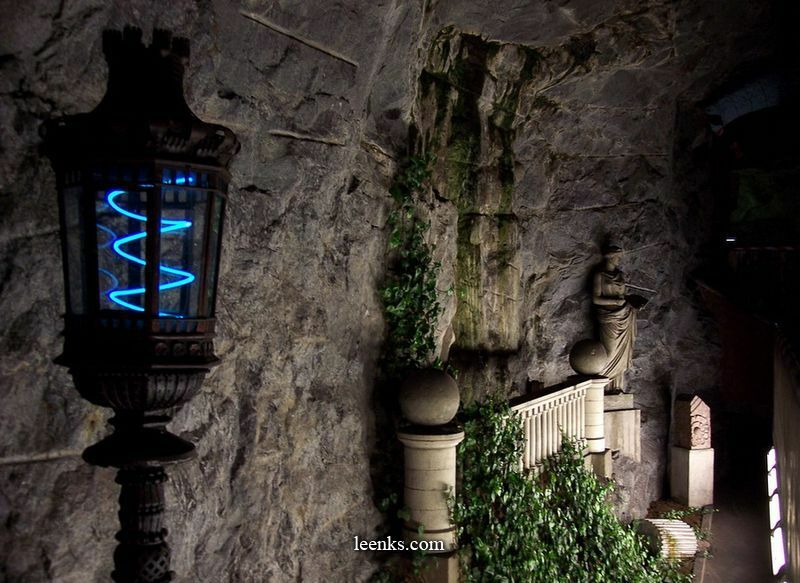 Seeing the doors were tight and unyielding, I immediately removed my hands and stepped back. A second or two after I had stopped trying to open the doors, the engineer said over the external speaker, “You better take your hands off that door or you will be arrested.” Those words prove he had seen me while the train was still stopped. A few seconds later, some stranger walked up to me and said he had pushed the door open buttons too in the second car, and the doors did not open. The train was still stopped as he initially spoke to me. Both myself and the stranger were casually well-dressed and very sober. Generally speaking I like Tri-Met, but this engineer was out of line and needs retraining and/or some other appropriate sanction. I wonder how many other riders he has treated so poorly. Please investigate the matter and the Rider Complaint procedure thoroughly, which appears to be deficient and in need of revision because of the following: The Tri-Met website did not generate a case number or any email to me with a copy of my issue after I sent it on 1/28/2011. Also, since I did not receive a timely confirmation via email or telephone after 1/28/2011, I sent an email on or about 2/3/2011. On 2/4/2011 I received an email (copy enclosed) stating that my issue was reported on 1/28/2011 to the Yellow Line Manager, and that it is a “private matter” between the manager and the employee. I am not satisfied with this closed system, as there is no real accountability to the public or myself. The public is supposed to trust what occurs behind closed doors, but we are not even informed of the outcome. This does not seem fair. I was pleased to see the comments to the letter, where several people explained that once a train has its signal, it can’t wait for more people to board. Another commenter said it’s not appropriate to release disciplinary information to the public, which I also agree with. However, as for the original complaint, I know that John T is not unique in being mad that trains don’t wait for him and even though I’ve already written about the yellow door release buttons before, now’s as good a time as any to do it again, as well as explain a little bit about how the mall signals work. First, a basic refresher on pre-empt signals – these display a yellow horizontal which means “STOP” to a train or a white vertical which means “PROCEED WITH CAUTION”. 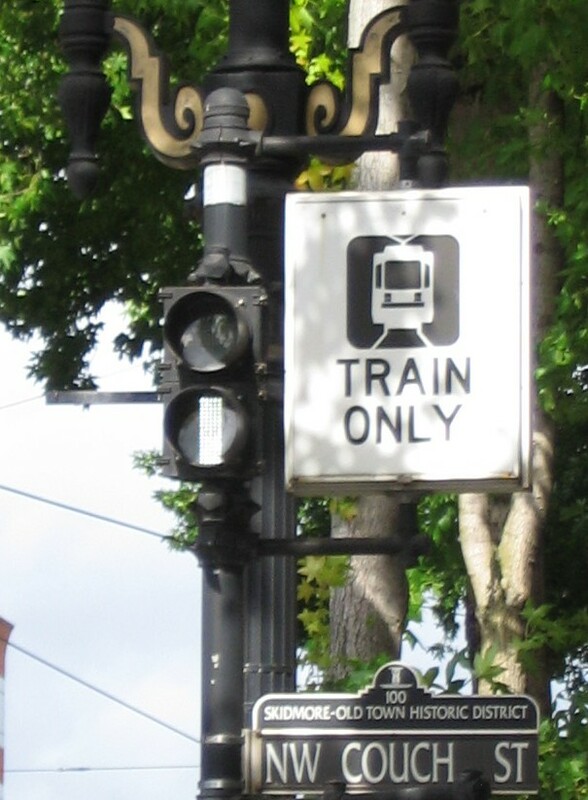 Because of how the CBD is set up, there are a number of intersections where auto traffic will have a red light (STOP) but a train will have a white vertical – this will be the case in any intersection where a green light could potentially turn a car into the path of a train. So don’t look at the auto traffic signals to determine if a train is about to move or not, because at most intersections the train isn’t following those signals. The train having a “red light” in this case is irrelevant. This is a view looking south on 5th Avenue. On the top of the pole in the middle of the picture, you can see the pre-empt signal for southbound Yellow and Green trains to PSU. It’s displaying a yellow horizontal in the picture which is the default aspect until a train calls it. Now look down 5th at each intersection – you can see the auto traffic lights that are red and green on the left side of 5th, and on the right side you can see the pre-empt signals for the trains (all yellow horizontals). 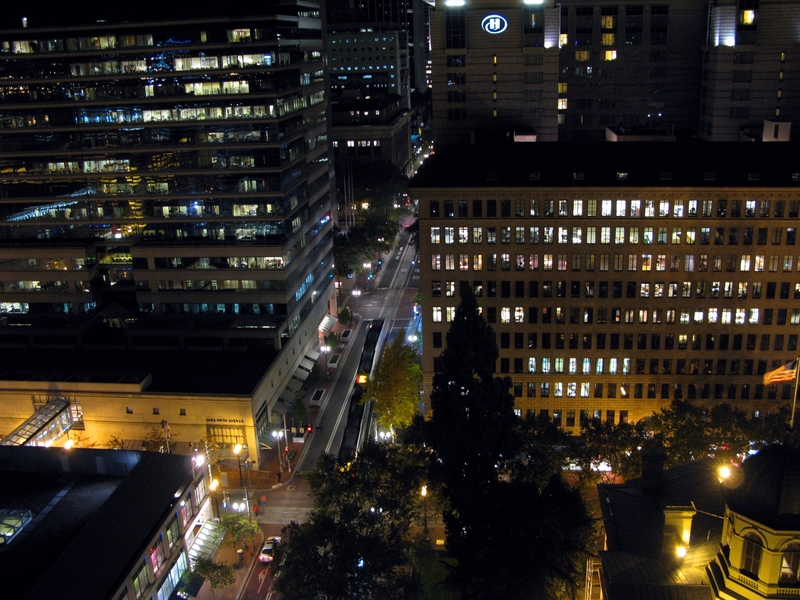 SW 5th & Yamhill, wider view. 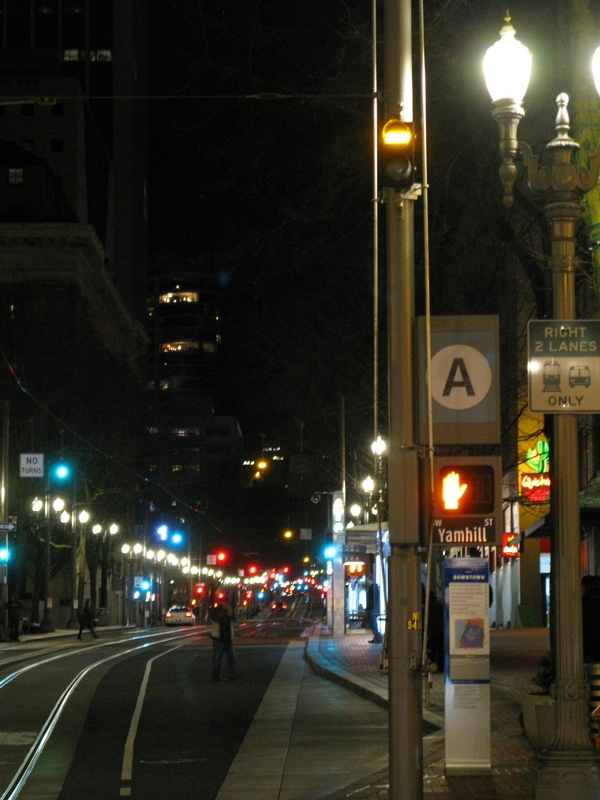 If you ride a train on 5th or 6th, you’ll notice that ideally the train will only stop at platforms, not at the intersections between platforms. This is because those pre-empts cascade – an operator will call the signal at the platform, and then the pre-empts up through the next platform are automatically timed so that when the train gets to each intersection, the pre-empt will be displaying a permissive white vertical to proceed without the operator needing to do anything. In the event that the train has to stop (e.g. 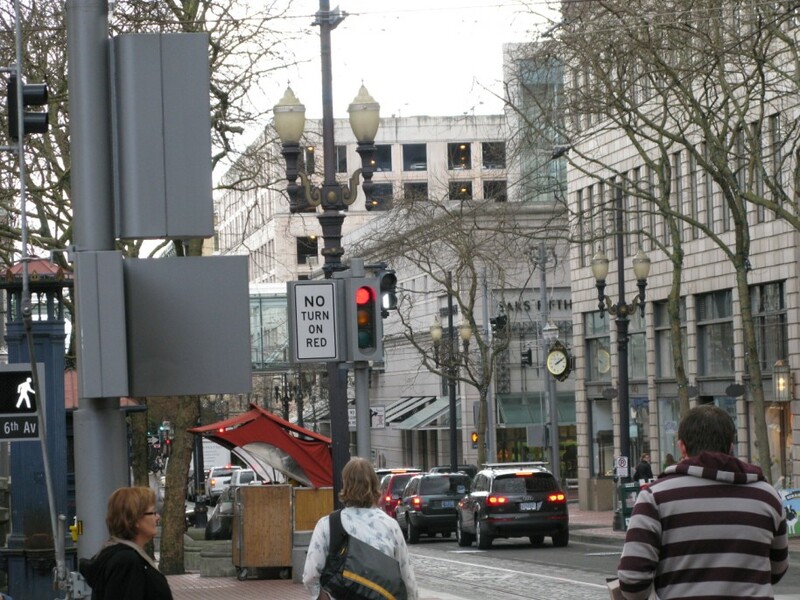 a personal auto blocking the right of way, a pedestrian running in front of a train, a car or cyclist running a red light – you know, those things that never happen) each intersection also has a secondary call loop where an operator is able to recall the signal. Under normal operating conditions, the cascading signals between platforms allows for the smoothest and fastest train movement. But remember that the mall isn’t just for trains. The alignment runs serpentine with buses so that the trains and buses leapfrog up and down the mall with the rails cutting over to the right every few blocks for a platform, and then back over to the center lane for the blocks that are served by buses. 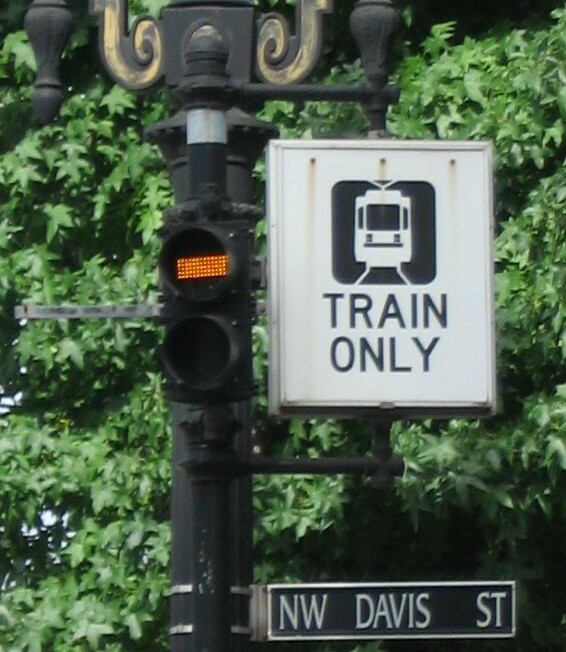 The auto signals on the mall are in sync with the train pre-empts, so buses will be held on a red light to let the train move through and get out of the way when the train has a permissive signal since both buses and trains share the center travel lane and cross paths to service alternating blocks. SO – getting back to why a train can’t wait “just a few more seconds” for you and reopen the doors… when an operator calls a signal at a platform on the mall, it starts the cascade of pre-empts up to the next platform. This cascade goes through even if the train stays put where it is, which can happen if the operator reopens the doors to let late runners on and then the signal in front of them times out. This delays buses unnecessarily as they are held at red lights waiting for a train that isn’t there. As a result, not only will the train you wanted to get on be delayed, but so will a bunch of buses because you weren’t at the platform when the train’s doors were open. Preventing that from happening, quite frankly, isn’t something an operator needs to be disciplined for. Are light rail riders more fit? From PortlandAfoot, this article makes some interesting claims, such as stating that light rail riders are 81% less likely to become obese. Digging a little deeper into the article, a few things caught my eye. The authors of the study interviewed people at two timepoints – from July 06 through February 07, and then later between March 08 and July 08 after a light rail system was constructed in Charlotte, NC, and took a number of self-report measures including BMI. The study seems to be based on the idea that people who walk from home to a public transit station and then from their arrival station to work are, by default, getting more activity than people who drive door-to-door in their private vehicles. This makes sense, but I also noticed that they drew comparisons between the 26 people in their sample who commuted daily on the trains and the 275 people who did not. They weighted the samples to account for the difference in the size between these two groups of people, but I’d be curious to see a more balanced study with equal numbers of riding and non-riding participants – that 81% less obese statistic seems rather inflated. No pun intended. The Oregonian reports on the five artists selected by TriMet to create four public art installations on the Milwaukie Line for a quarter million dollars apiece. There were a lot of negative reactions from the public, generally stemming from the fact that none of the five artists are local – rather disheartening after many claims from TriMet about how the Milwaukie Line would create jobs, letting us work under the assumption that that meant jobs for people in the area, not a million dollars going out-of-state. 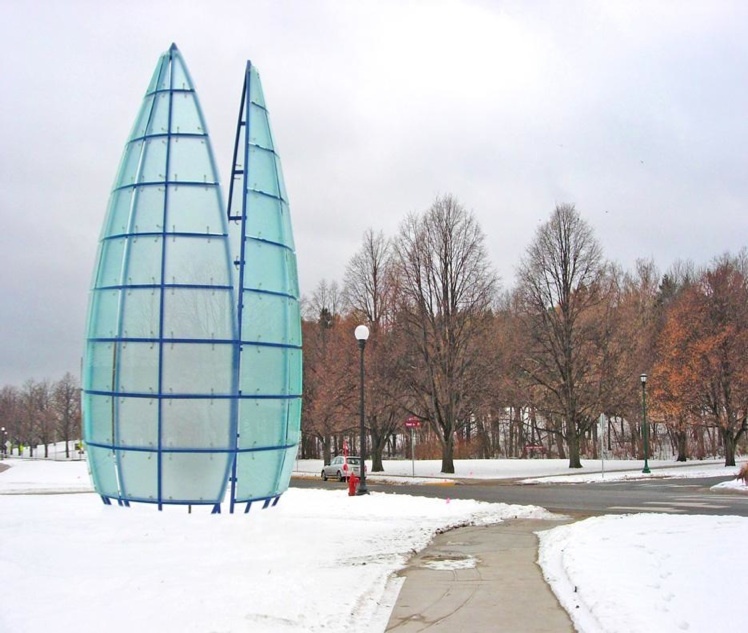 TriMet Public Art Coordinator Michelle Traver stated that because the Milwaukie Line is funded by federal money, they could not limit the selection of artists to the Portland area. 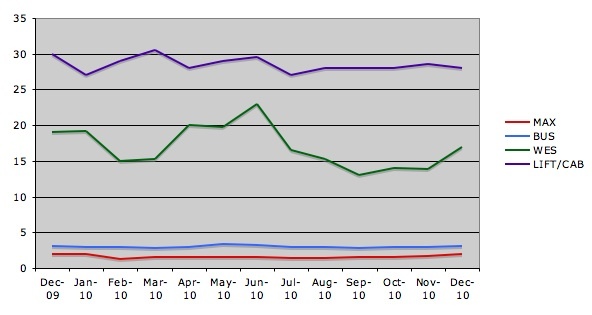 Frequent Oregonian commenter SP Red Electric (who also comments here) questioned that, pointing out that TriMet did not buy buses with the federal stimulus money received in 2009, and justified that by saying that the buses were not made locally and wouldn’t benefit the local economy by putting Oregonians to work. So why is the federal art money different? This is a fair question. I checked to see if it was addressed anywhere, and I found where Caroline Young, Executive Director of Communications at TriMet, told Portland Afoot that TriMet decided to spend the federal stimulus money on local construction projects to create jobs for Oregonians, rather than buying buses that would create jobs for people in Minnesota (where New Flyer is located). So far it doesn’t appear that SP Red Electric has received a response to his question about spending priorities or requirements for use of federal money, but I’m curious about this now myself. And if we’re going to outsource the art at all, let’s let the Swedes have a go at it. 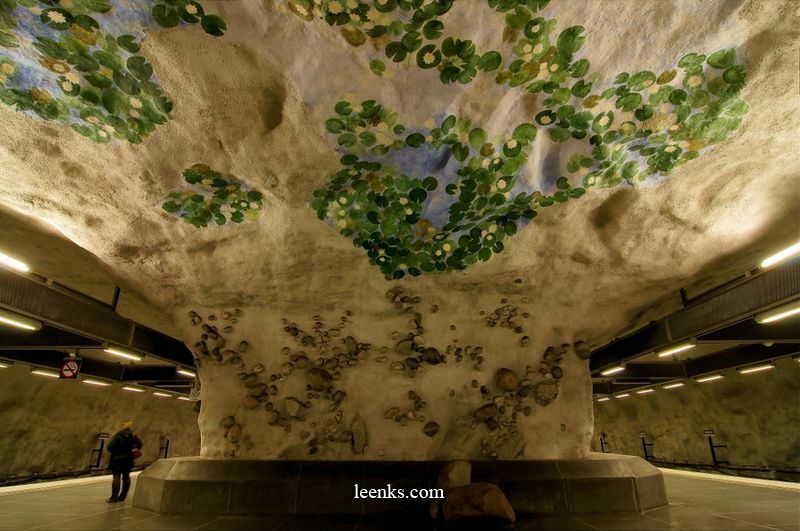 Check out the amazing artwork in a Swedish subway system. 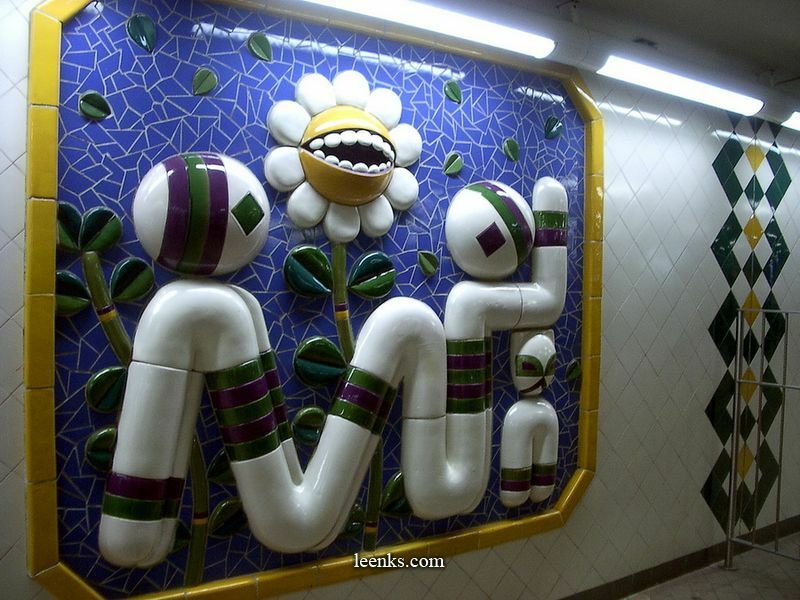 More Swedish subway art here. 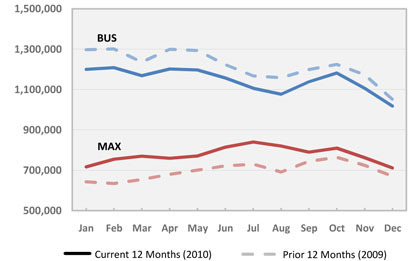 There are easily more boardings on bus than MAX, though MAX ridership has increased slightly from this time last year, whereas bus has decreased slightly from this time last year. 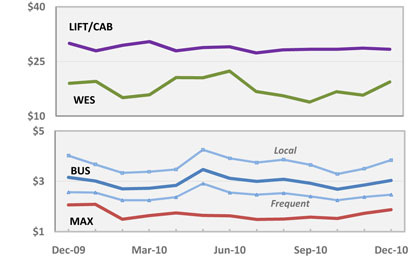 Considering the multiple cuts to bus service, as well as the free ride area in downtown Portland being changed to free rides on rail only, this is not surprising – less service offered on bus and increased service offered on MAX means ridership patterns are going to match. I threw this together making guesses at what the boarding costs were in each month – the shape of each is roughly the same as the charts provided by TriMet, even if the values aren’t exact. But it shows more clearly the differences in operating costs of each mode – nearly negligible between bus & MAX, but a huge gap between those and WES. US News recently came up with their list of the top 10 cities in the US for public transit, with Portland at the top of the list. Hat tip to Al M for two very interesting points about this. 1. It doesn’t say TriMet is the best transit system, it says the city of Portland has the best transit system. This is a subtle, yet important difference. 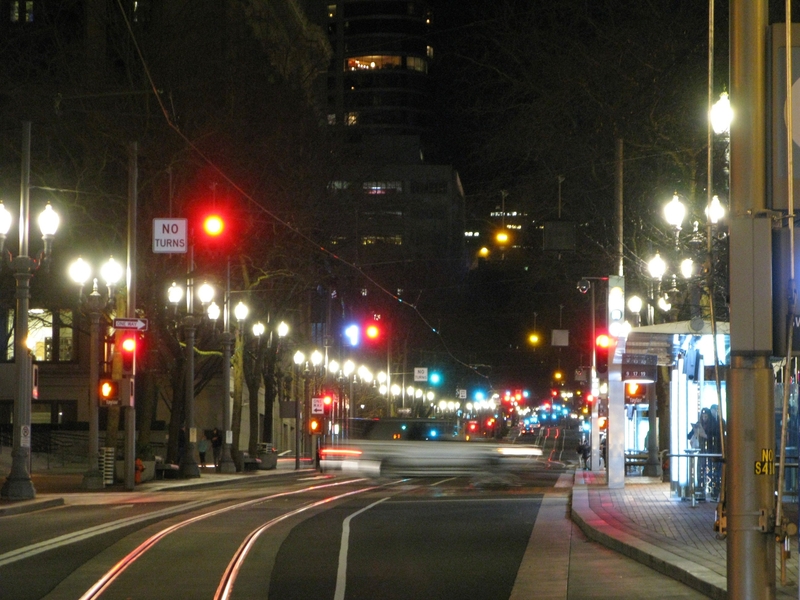 The service in downtown Portland is amazing – four light rail lines intersect bringing riders to Gresham, Hillsboro, the Expo Center, PDX Airport, and Clackamas, more than 20 bus lines service the area, and the streetcar runs through there. If all you need is to get from one part of downtown to another, it’s generally easier to do on TriMet than it would be to drive your own car. But leave Portland and go to the west side, or Gresham, or Boring, and the quality and frequency of service drops sharply. So to that extent, yes, the recognition of the excellent service in Portland is fair. 2. The rankings take into account per capita spending on public transportation, number of safety incidents per million trips, and the number of trips taken per capita. I really like that this is part of the criteria for the rankings. Yes, there have been individual bad drivers at TriMet (and they’re the ones that get the media coverage, like the Kindle driver), but on the whole the operators and system are very safe. This video showing a day of TriMet service (very similar to another simulation I’d written about last year) has been making the rounds online recently. Consider that there are this many moving TriMet vehicles every single day, yet incidents involving a collision, though devastating, are extremely rare. I think that’s extremely impressive, and good press for us. In each clip, you hear two short bell sounds before the train begins moving forward. This is a requirement no matter where the train is (on the mainline or in the yards, in or out of service). Regular commuters are probably aware of the two-bell sound indicating that the train is about to move forward even if they haven’t ever given it conscious thought. However this is not promoted to the public, at least as far as I’ve seen, and it really should be. Not everyone on or near MAX trains is from the Portland area or is familiar with how the trains move. But it shouldn’t be difficult for the marketing department to come up with some channel cards to put on the trains (and buses) with a message saying something like “Hear two bells: Watch for moving trains!” Maybe even take out ads in the paper or on TV letting people know to be well away from the tactile strip when they hear two bells since the train is about to move. Would that have saved Sandy Sullivan’s life? I don’t know, but it just seems like a good idea to take steps like this to be proactive in preventing accidents, and in the interest of being “safety ambassadors” as Neil described. And this is an easy way to do it, since it’s building off of something that rail operators are already doing, and just driving the point home to the public that that’s what those sounds mean. Random trivia – the two-bell sound is also featured in the beginning of the “Chillaxin on the MAX” song.